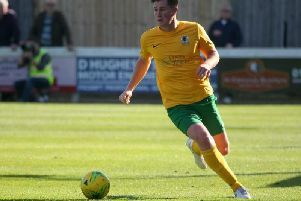 Loxwood will have to put in a ‘big performance’ in Saturday’s crunch trip to Arundel in the Premier Divison according to Alex Walsh. It is a key game in the relegation battle where a victory for The Magpies could see them move seven-points clear of Arundel, and the drop. The Mullets have lost three of their last six league games and sit second-from-bottom in the division. Loxwood meanwhile have seen an upturn in form, taking seven points from a possible 12, with their latest result seeing them comeback to beat second-placed Newhaven 2-1 at home last weekend. Ahead of this fixture, Magpies boss Walsh has stressed that his players cannot be ‘sloppy or complacent’ in a vital match-up at the bottom. He said: “Arundel away is always a tough place to go. They’ve been unlucky with some of the results recently. “Losing 3-2 against a Saltdean shows they are still up for the fight. When we played them last, although it was 7-3, they never really gave up. “It came back to 4-3 and we were well aware of the threats and what they can impose upon us. We need to be even better than we were against Newhaven. “If we play like we did on Saturday we will have enough to get a result but we still have to put in a big performance. The Magpies have no fresh injury worries going into their game against Arundel, meaning Walsh will yet again have a full compliment of players to pick from.